Welcome to Skin Frenzy! We are one of the premier providers of Xtreme lash extensions specializing in individual lash enhancement, facials, waxing, custom blended makeup, and massage. With over 10 years experience, your skin and lashes deserve to have the best recommendations in facial treatments as well as proper lash extension application. As an award-winning local business serving Phoenix, we take pride in rendering excellent and professional service to our clients in a comfortable and relaxing ambiance. Skin Frenzy can help! 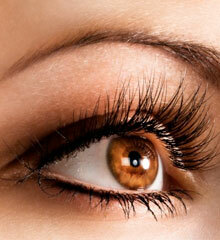 We are the premier lash extension and lash enhancement provider in Phoenix! Whether you’re looking for a long term beauty enhancement or need extensions for a special occasion, Skin Frenzy has over 8 years experience. Facials not only rejuvenate the skin but also the mind and spirit. Facials can be the ultimate in pampering and helping to slow the aging process. Skin Frenzy offers many different facial types to meet your individual needs. For some people, unwanted hair can be embarrassing and a source of insecurity. Skin Frenzy offers waxing services using spa quality products that will leave your skin feeling smooth and nourished for weeks at a time. 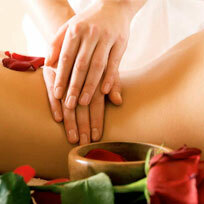 Massages are known best as a luxury for those who love to pamper themselves. Over the past several years, massage therapy has been proven to have numerous health benefits as well as provides an overall sense of well being. 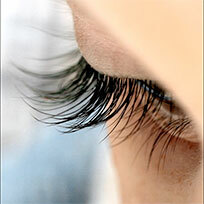 Eyelash extensions can be a luxurious and completely pampered extension of yourself. We have all noticed the lashes of our favorite model or actress and longed to be as glamorous. With Skin Frenzy lash extensions, you can be! Are you sick of unsightly razor burn and bumps? How about that unwanted facial fuzz? If so, waxing is the perfect solution. 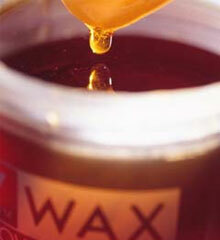 Waxing will leave your skin feeling smooth and without hair for weeks on end, effortlessly! Naproxen is very helpful for pain in the back and radiculitis. I've been using it for a long time, it never let me down. I try to buy tablets of 500 mg at reputable online pharmacy. And I tried the rectal candles, also very effective. Connect with us to stay up to date on the latest products and industry trends! Reservations & Cancellations: Skin Frenzy is available to advise and assist you with treatment selections. A credit card or gift card number is required to secure your reservation. Please inform us of any medical conditions, special needs, allergies, and if you prefer a male or female therapist when booking a massage. We will gladly change or cancel your appointment up to 24 hours in advance of scheduled time. Spa package reservations require 48-hour cancellation notice. Missed appointments will be charged in full. We are happy to waive the charge if we are able to fill your reserved appointment time.